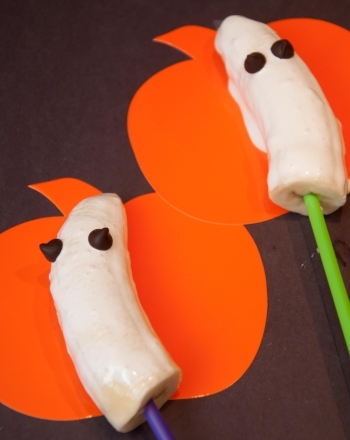 Looking for a treat that's just as healthy as it is tasty? These banana muffins are just the thing! 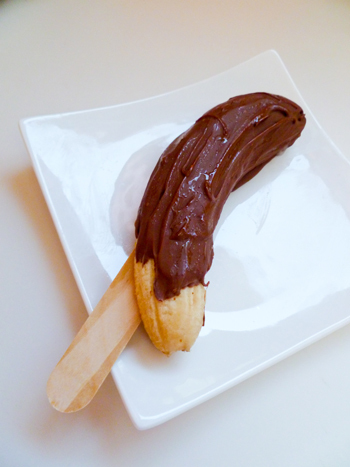 Kids practise measuring skills and learn all about cooking as they bake these yummy banana treats. 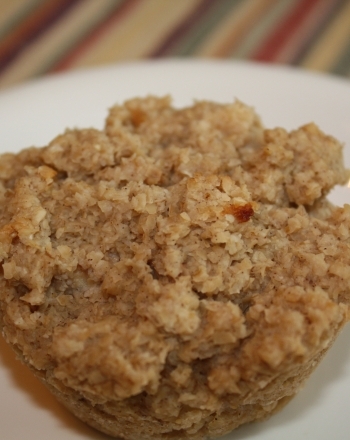 Even better, these muffins are packed with quinoa, a great source of protein and fiber. 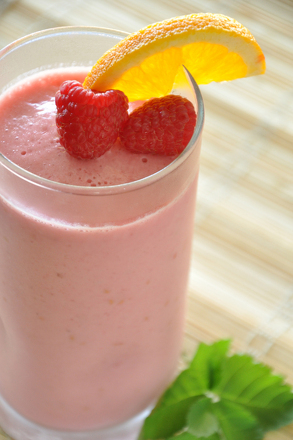 Try having them for breakfast, dessert, or a delicious snack any time of the day. Start by pre-cooking the quinoa. Help your child fill a small saucepan with 2 cups water and add 1 cup dry quinoa. Once the water boils, the quinoa takes about 20 minutes to cook. While the quinoa is cooking, have her line a muffin tray with muffin liners and pre-heat the oven to 350° Fahrenheit. Once the quinoa is finished cooking, give it a gentle stir then set it aside to cool. Next, help your child measure and combine the flour, sugar, baking powder, baking soda, cinnamon, and salt in one mixing bowl. In the other mixing bowl, combine the bananas, yogurt, vegetable oil, vanilla, and egg. Have her use the potato masher to mash up the ingredients and mix them into a batter. Once the wet ingredients are mixed, add in 1 cup of the cooled quinoa, then slowly add in the dry ingredients, stirring with a wooden spoon until everything is mixed together. Brainstorm other ingredients that your child might enjoy adding to her muffins, such as raisins, nuts, dried fruit, or mini chocolate chips! She can add ¼ cup of her special ingredient to the mix and gently stir. Next, help her put spoonfuls of the batter into the muffin-lined pan, filling about ¾ full, and bake for 12 minutes. 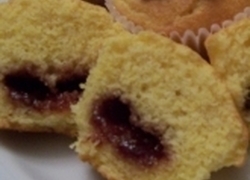 After 12 minutes are up, help her check the muffins by placing a toothpick in the centre. If the toothpick comes out dry, the muffins are ready. 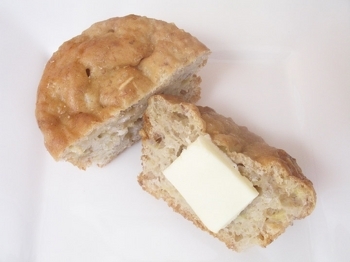 If it's sticky with dough, the muffins can cook up to an additional 5 minutes. After they cool, settle down for a tasty snack, perfect for sharing with family and friends! 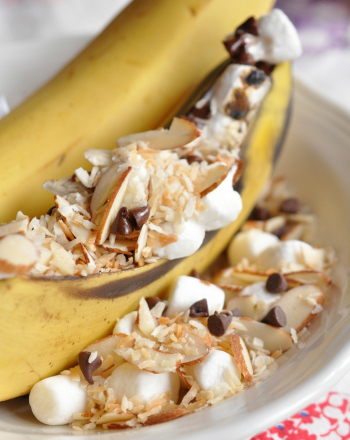 Your child will go bananas for these gooey, delicious, scrumptious banana boats! 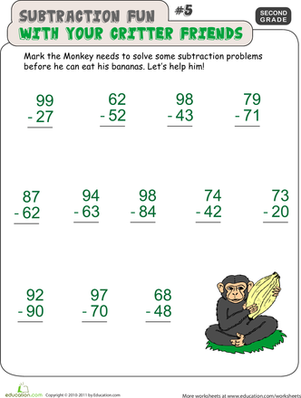 This page is filled with double-digit subtraction, and Mark the Monkey needs to finish it before he can eat his bananas! 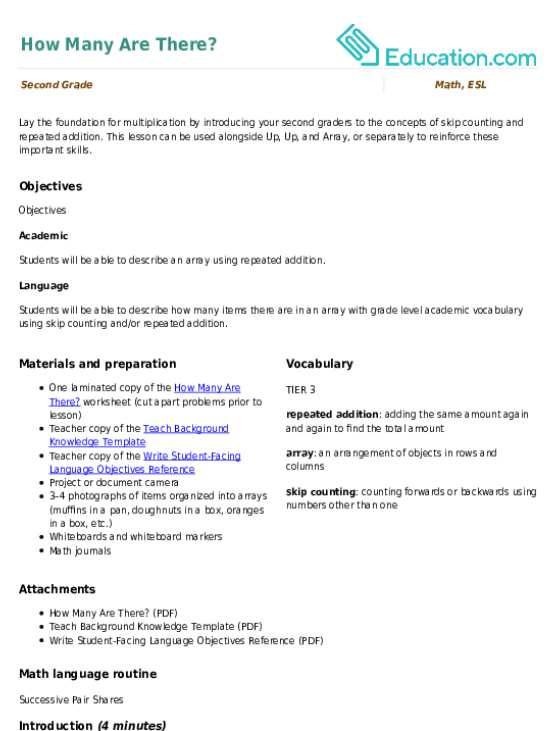 Can your second grader help?